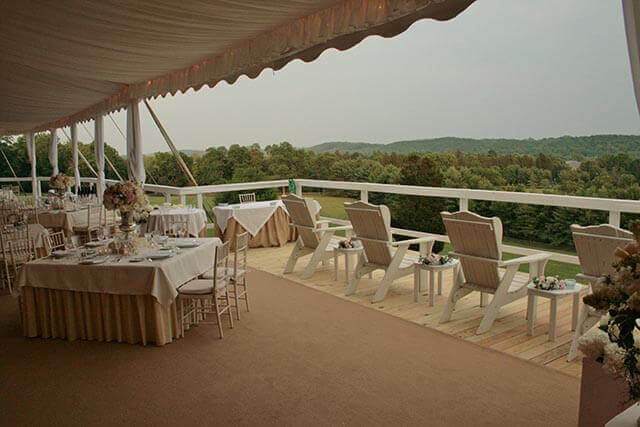 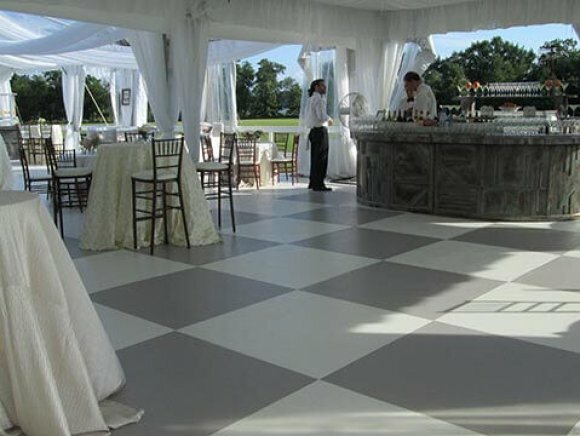 Flooring | Loane Bros., Inc.
Several types of flooring are available to ensure the comfort and protection of your guests. They range from simple carpeting over grass, to leveled varnished hardwood subfloors. 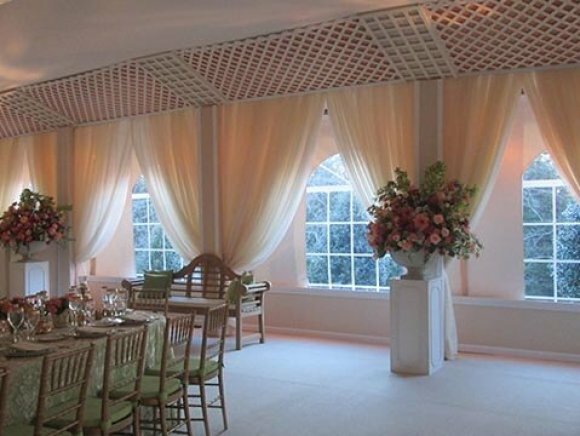 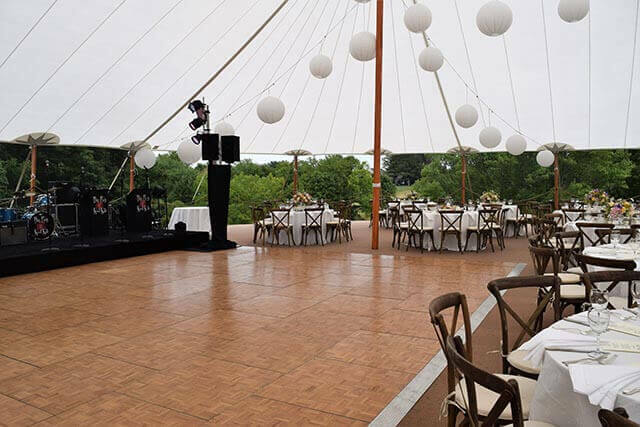 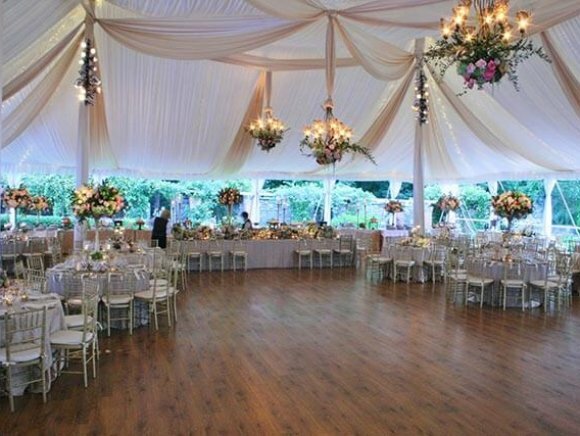 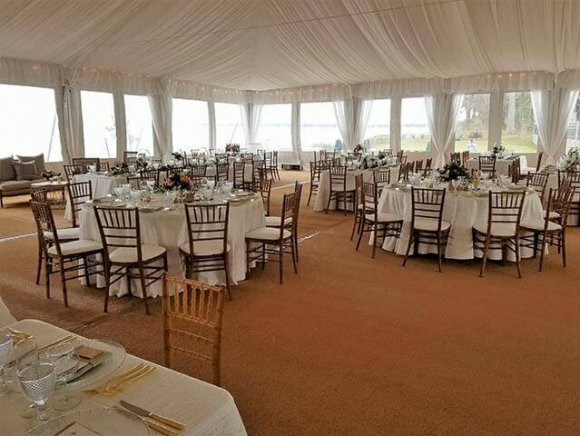 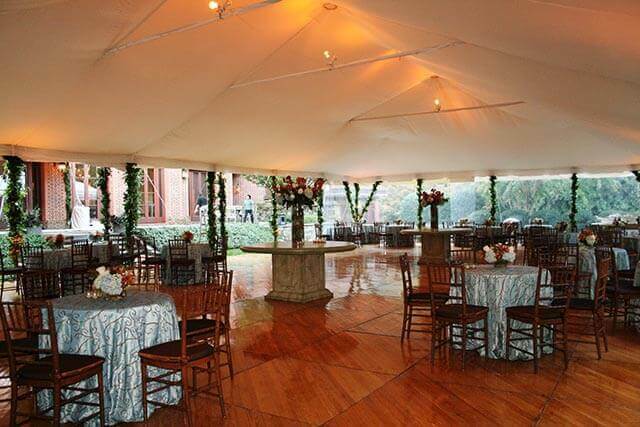 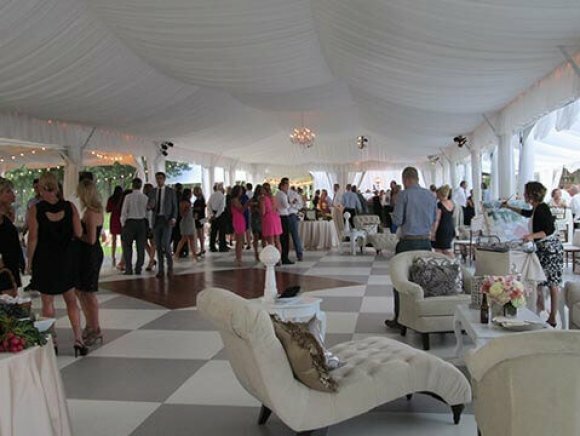 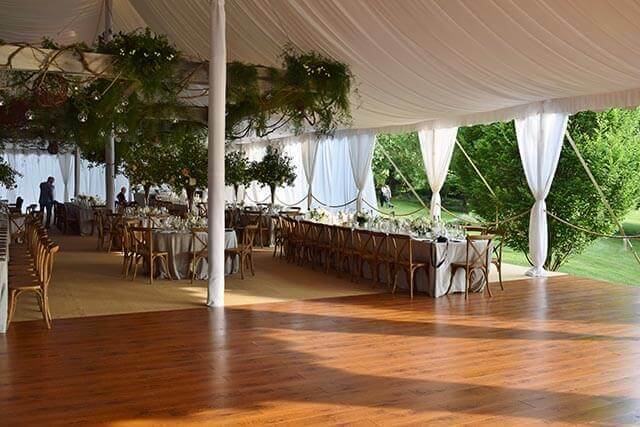 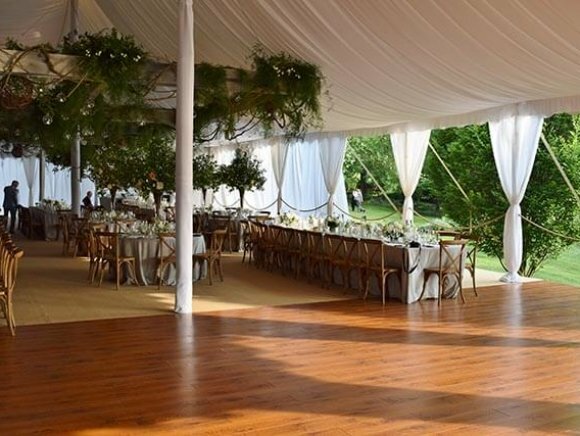 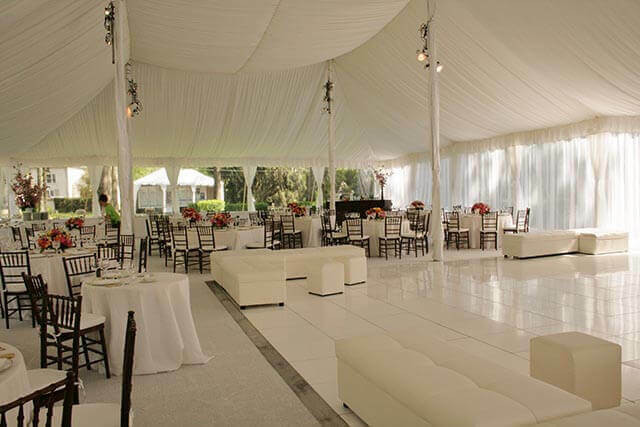 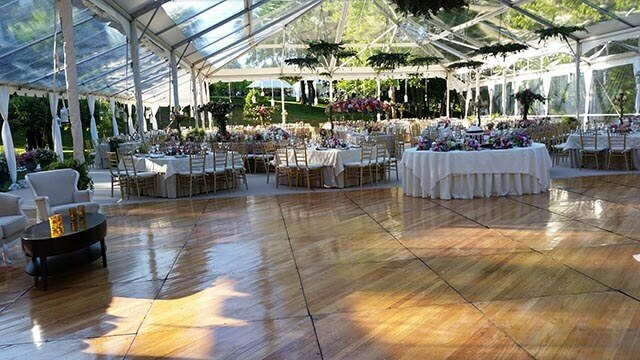 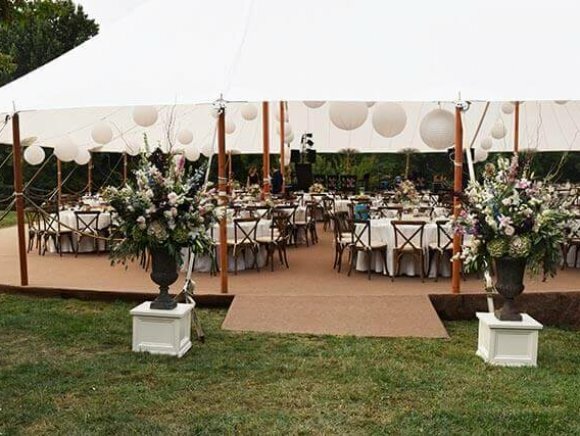 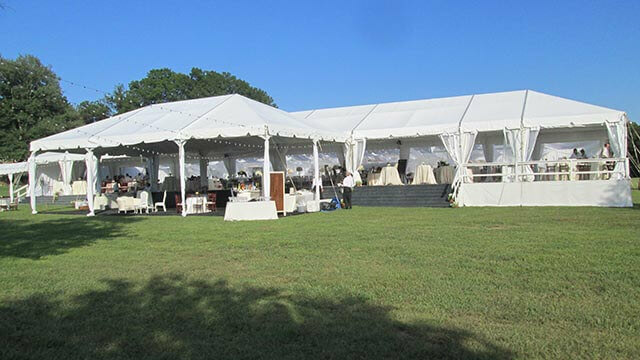 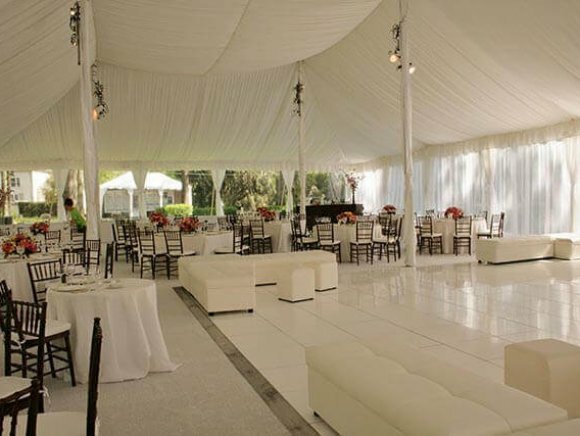 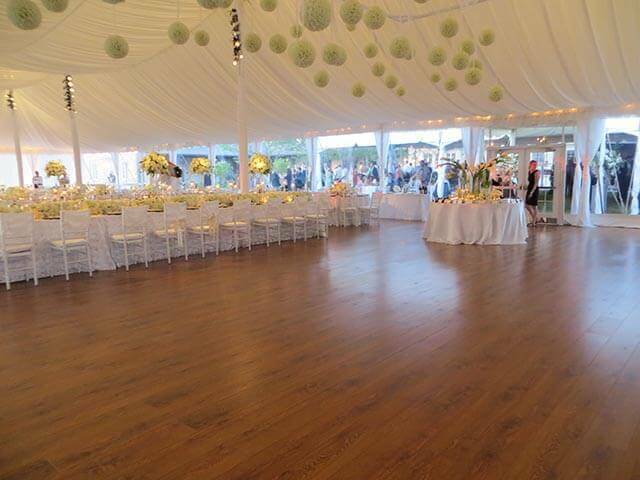 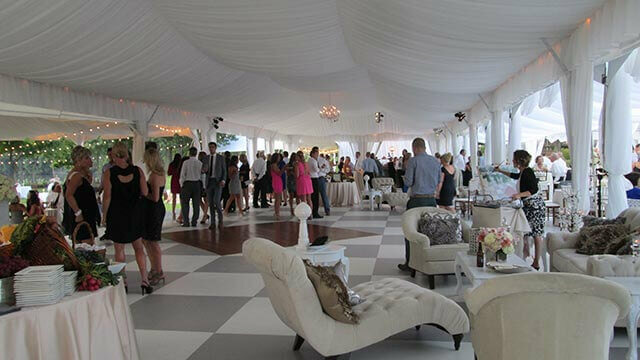 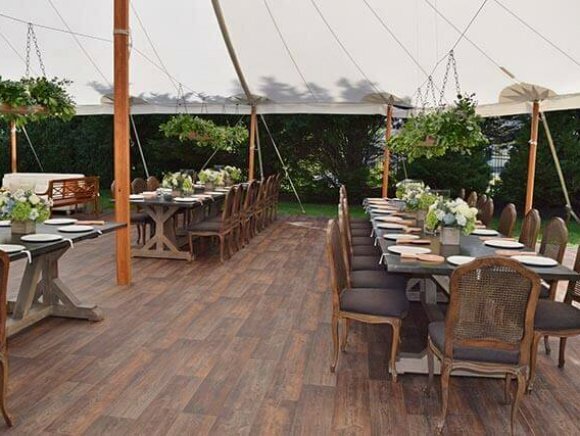 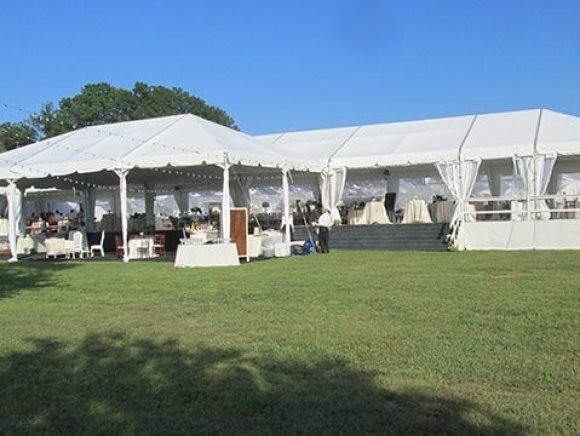 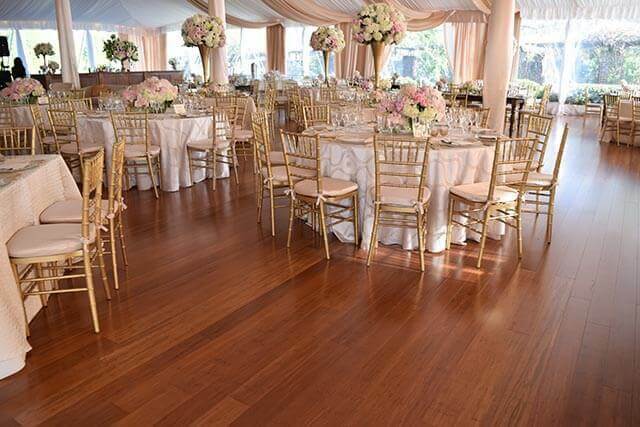 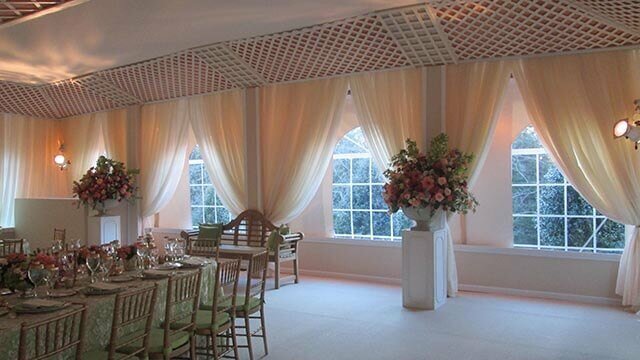 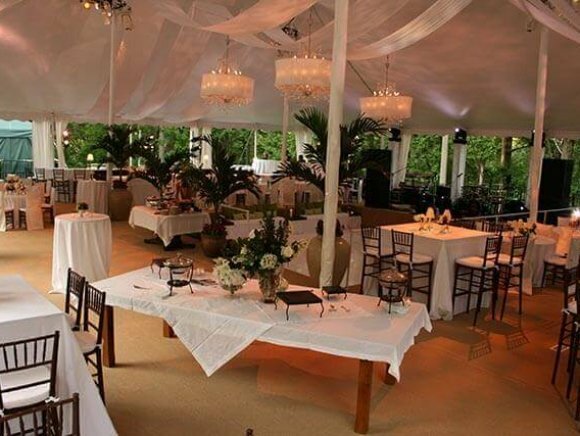 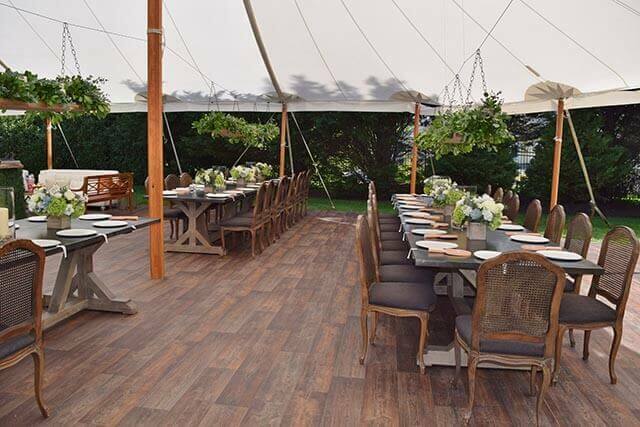 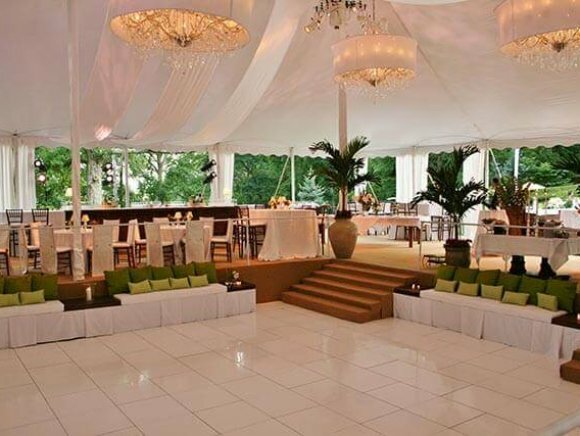 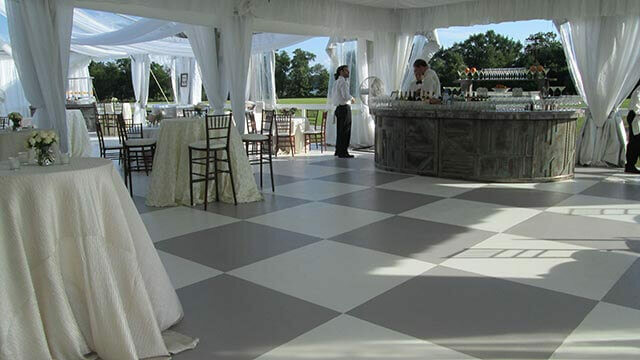 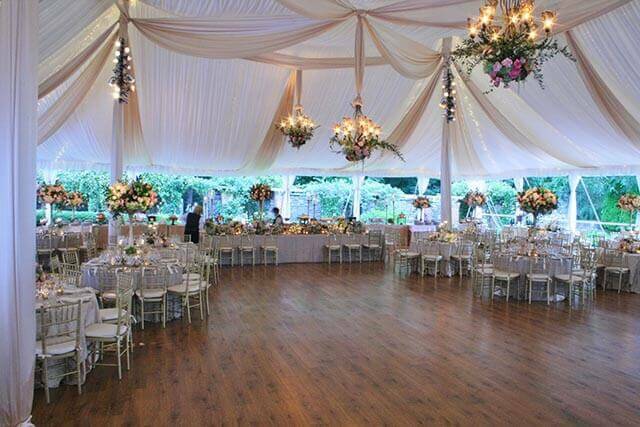 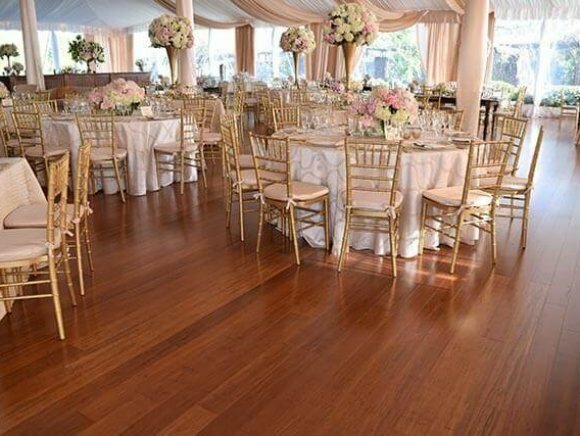 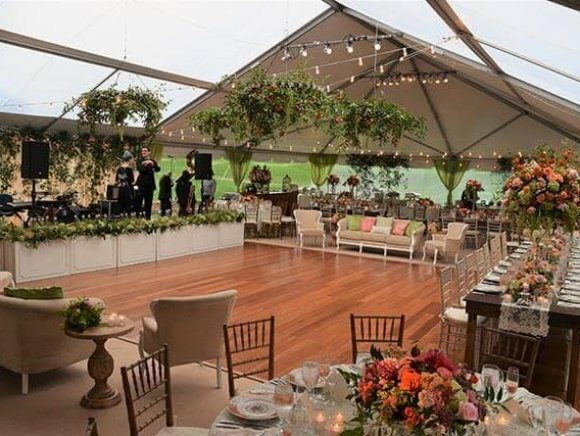 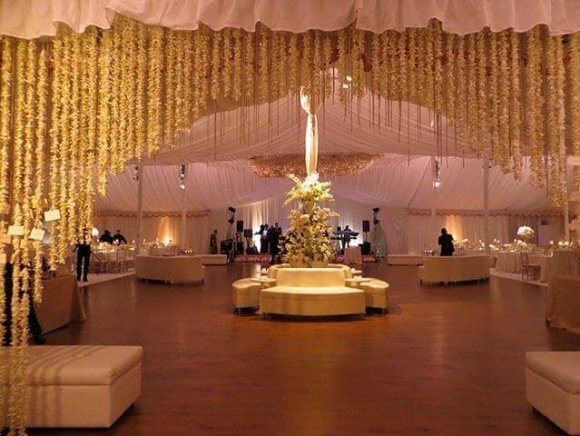 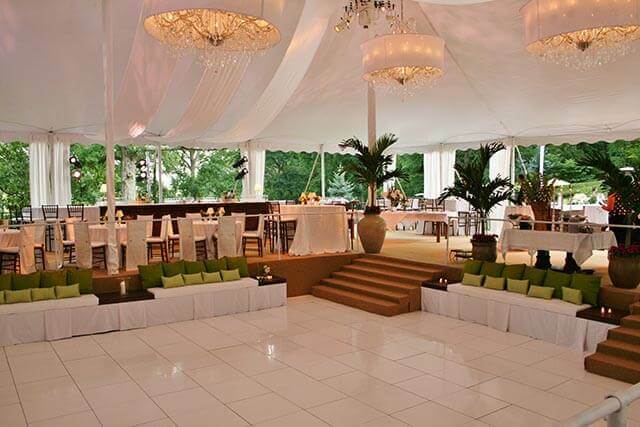 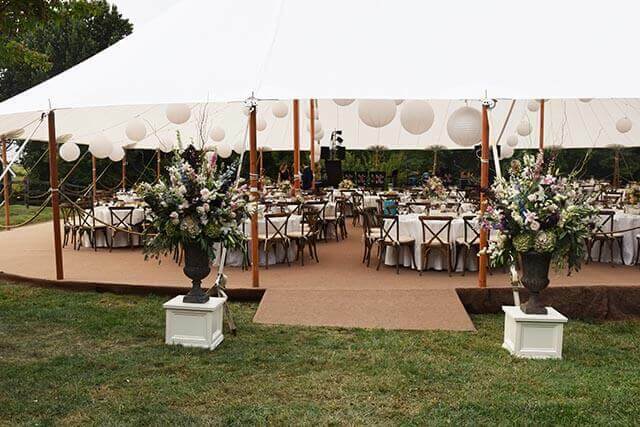 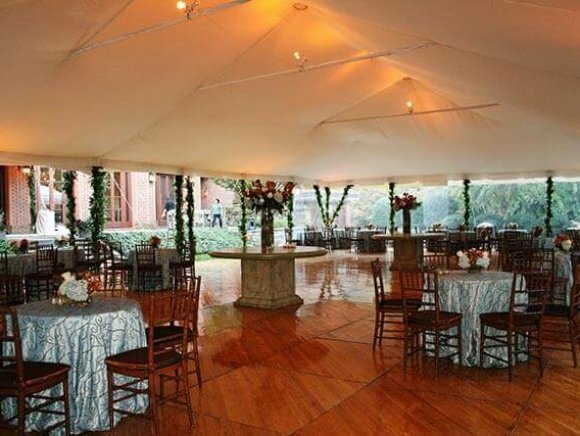 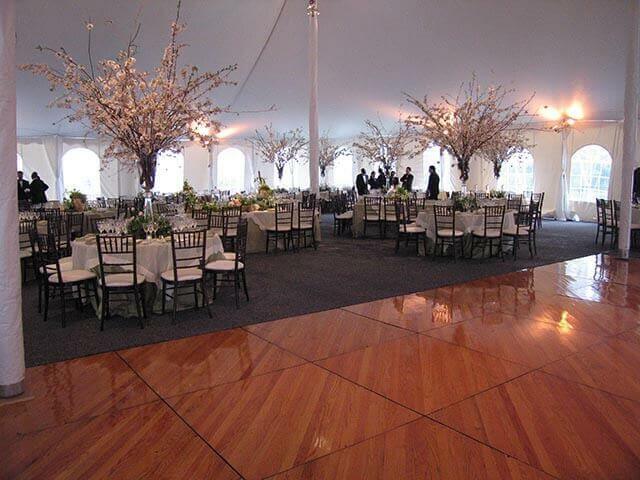 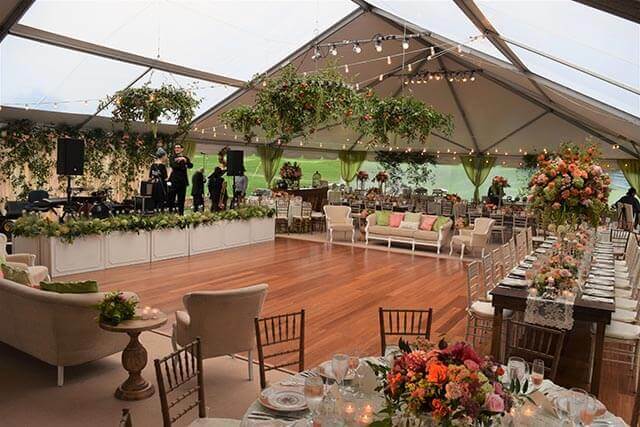 Our trained staff will work with you to determine what type of flooring, and how much, may be needed for your particular event. 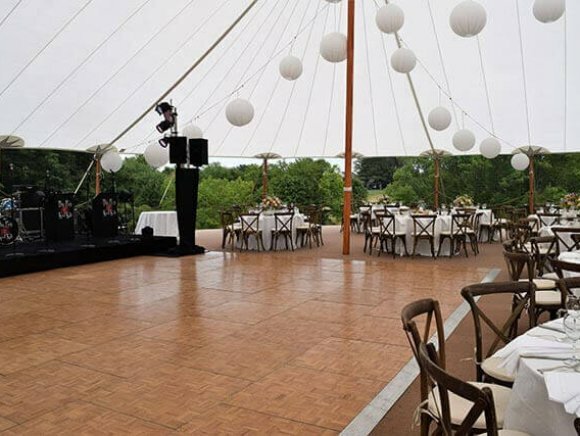 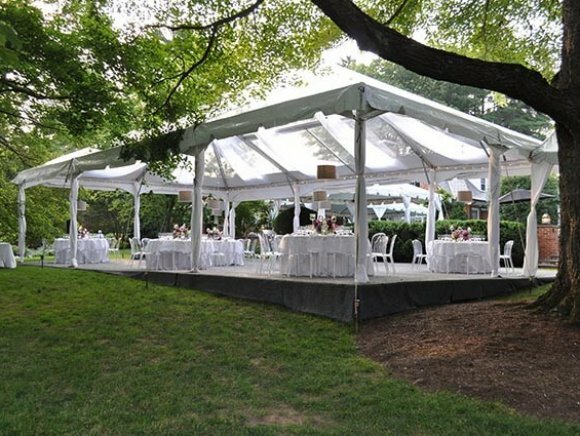 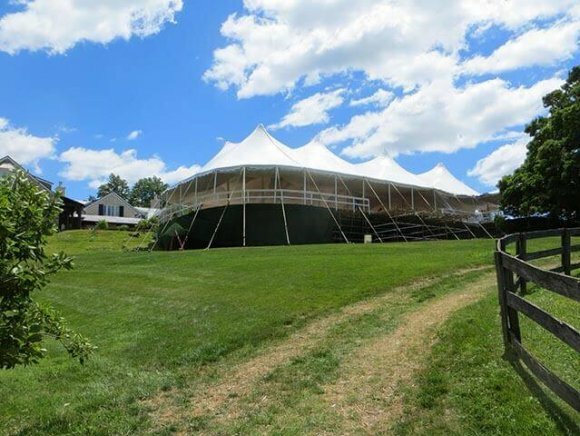 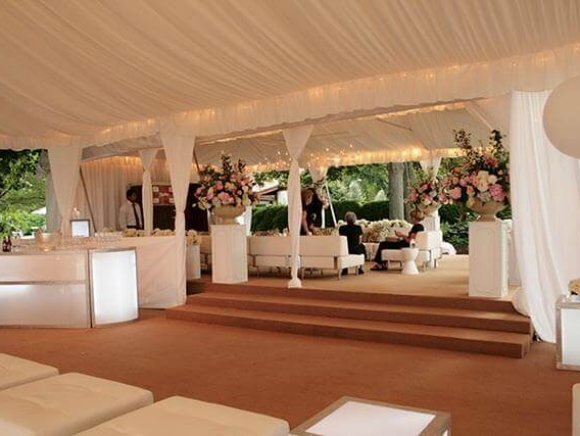 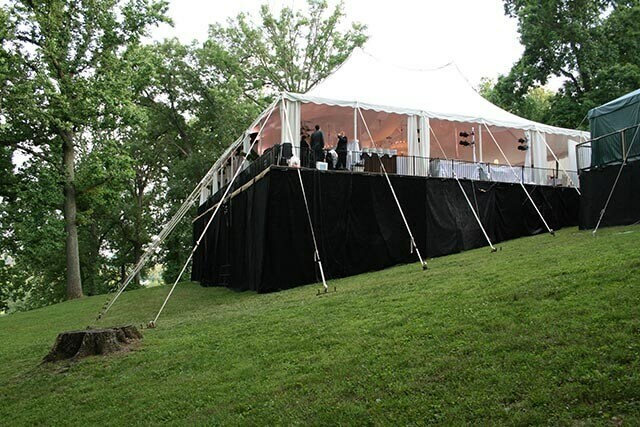 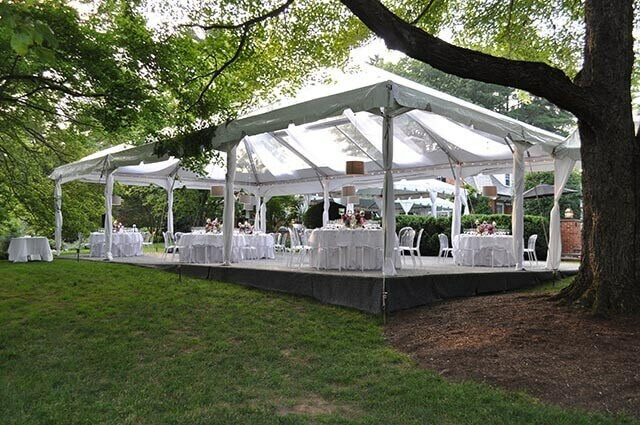 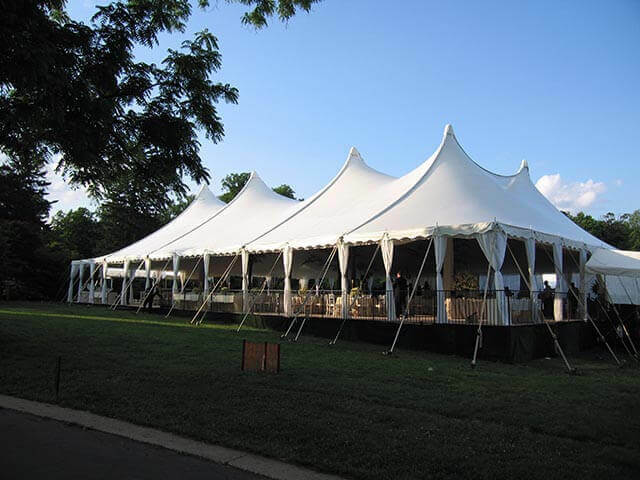 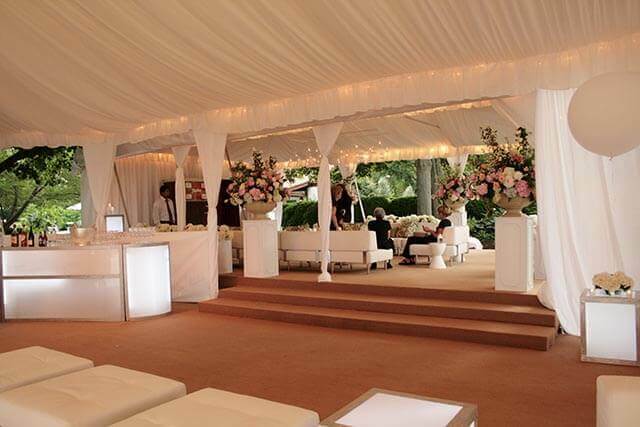 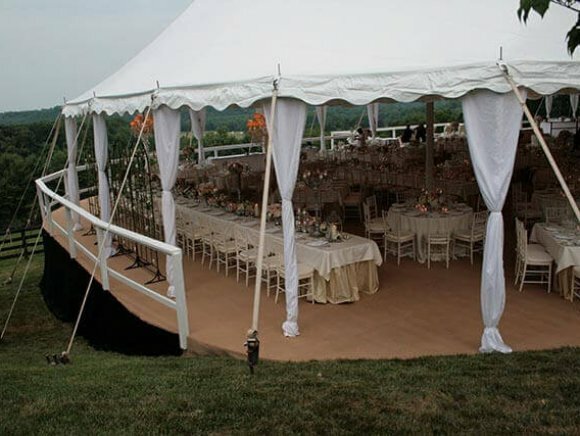 (Flooring the entire tent? 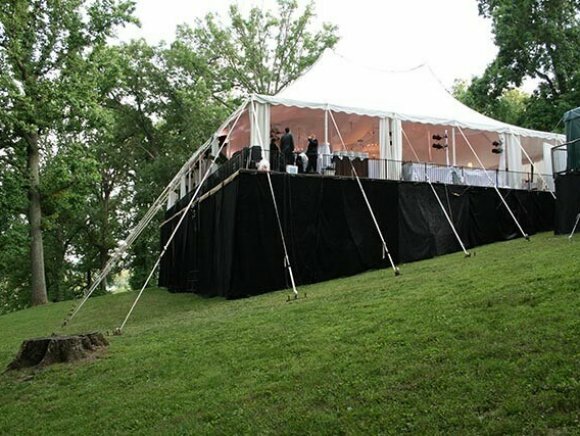 Or just a part of it? 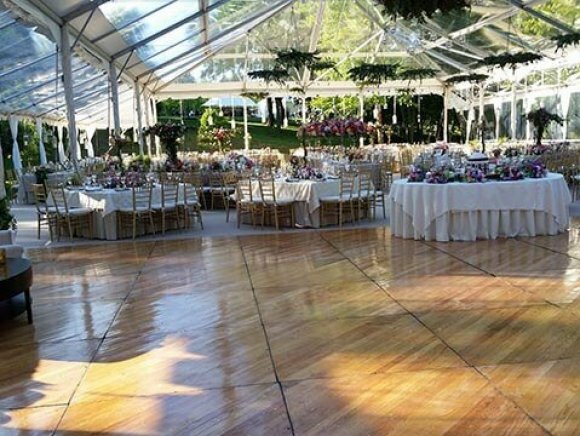 Maybe all you need is a dance floor). 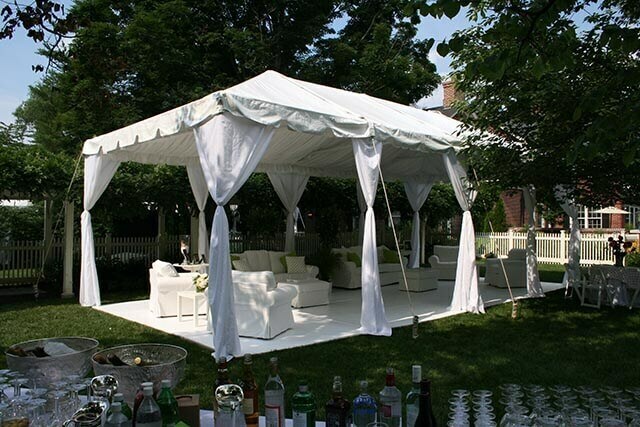 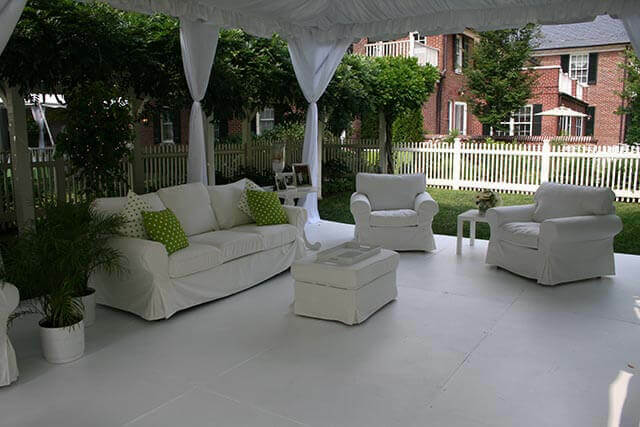 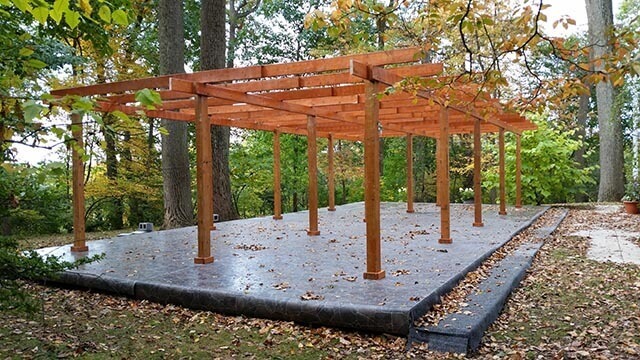 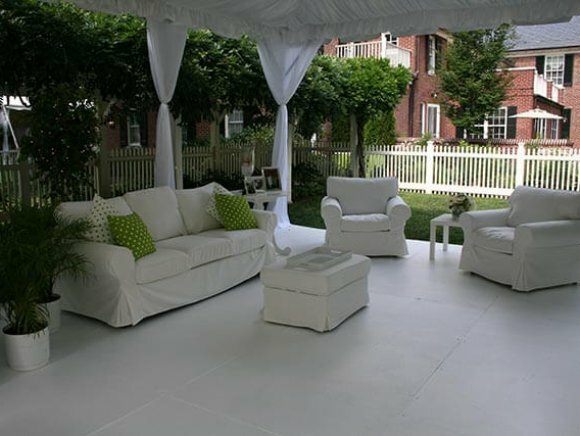 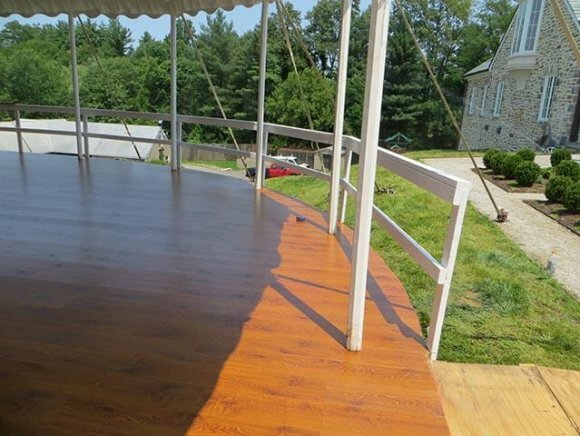 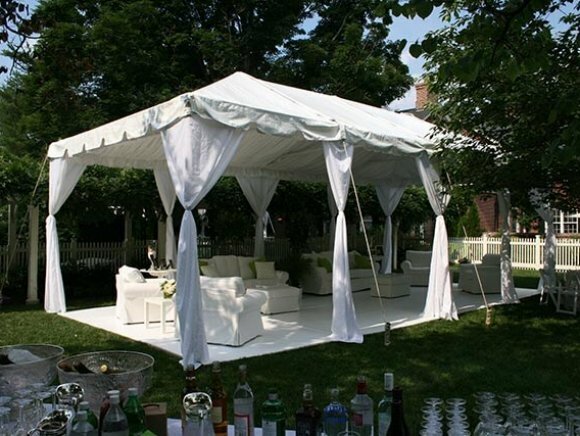 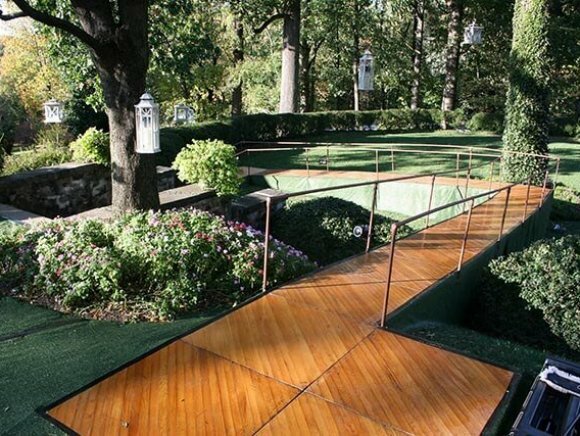 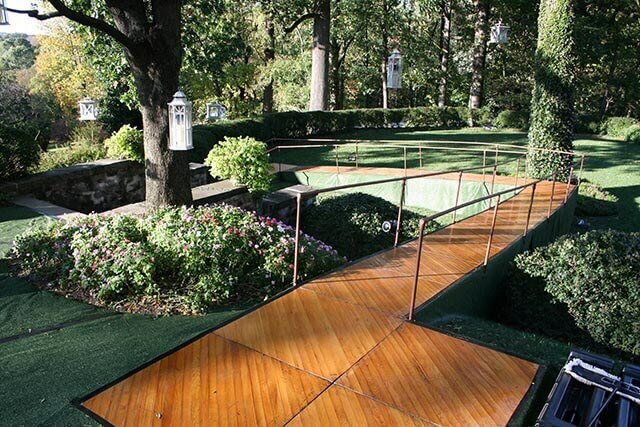 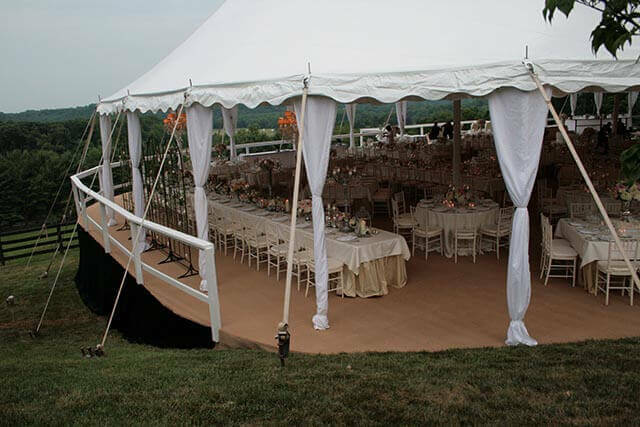 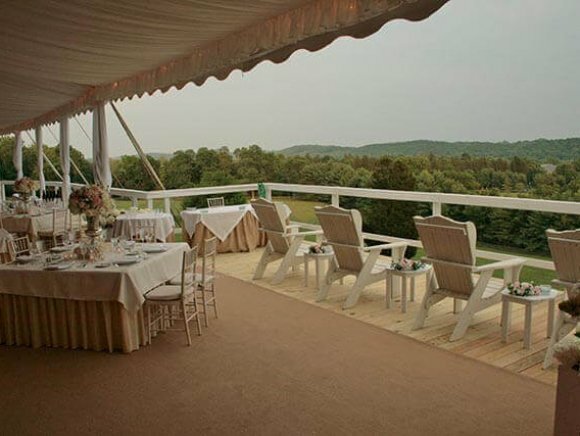 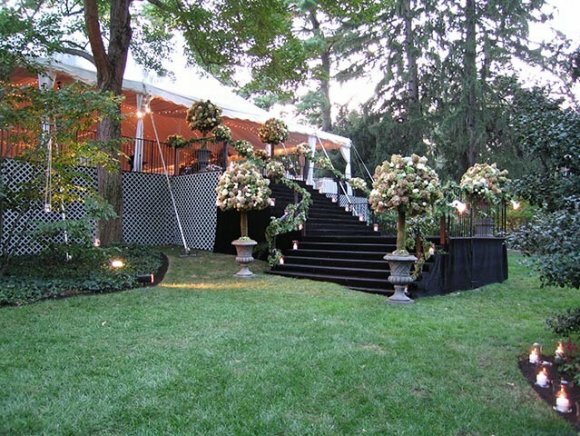 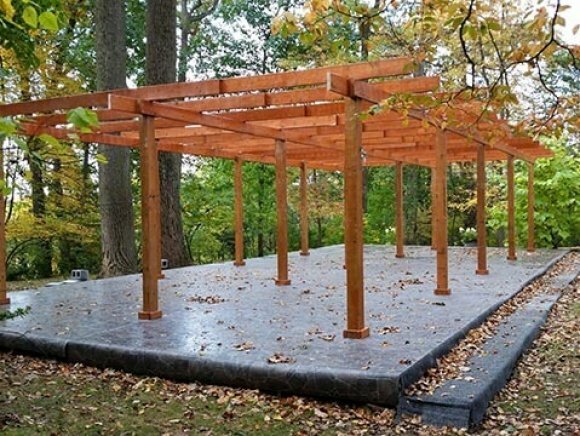 We provide all kinds of staging, as well as stairways, railings, and temporary roadways.